This medical industry feature, titled “A Treatment Strategy for Postmenopausal Women with Osteoporosis at High Risk for Fracture” is sponsored by Radius Health, Incorporated. This program is intended for US physicians. See the full prescribing information including Boxed Warning for TYMLOS at www.tymlospi.com. Dr. Felicia Cosman, is a paid consultant for Radius Health, Inc.
One in two – or every other woman – over the age of 50 will break a bone due to osteoporosis in their lifetime. In this feature, we’ll learn about treatment options for postmenopausal women with osteoporosis at high risk for fracture that can help reduce fracture risk. Coming to you from The American Society for Bone and Mineral Research this is ReachMD and I’m Dr. Shira Johnson. Joining me to talk about treatment strategies for postmenopausal osteoporosis in women who are at a high risk for fracture is Dr. Felicia Cosman, an osteoporosis specialist and Professor of Medicine at Columbia University College of Physicians and Surgeons in New York. Dr. Cosman, thank you for being here today. Thanks so much for having me, Dr. Johnson. So, I’d like to start with a quick overview of how some patients with postmenopausal osteoporosis may be considered at a high risk for fracture. Can you elaborate on this for us? Sure. So, one of the most important factors that makes a person at high risk for fracture is having already had a fragility fracture, and the way we define that is an adulthood fracture that occurs in a minor trauma, such as a fall from standing height. There are a few exceptions—fingers, toes, face and skull—but almost all other fractures in adulthood with minimal trauma are osteoporosis-related, and they are major predictors of future risk. Also at high risk are people who have osteoporosis by bone density criteria, a T-score of -2.5 or lower, and people with other risk factors in addition to low bone mass, such as a family history or lifestyle factors that can increase the risk, and all of these together combine to make a person at very high risk for more fractures. So, given this heightened fracture risk for patients who already have a history of fragility fractures, is there or shouldn’t there be a greater sense of urgency to treat these patients? Absolutely, and that’s a lot of what’s happening at the meeting this year, is that we’re trying to bring people’s attention to the fact that if you have a fracture, there should be an urgency to treat, because those patients are at very high risk for more fractures in the very next 1 and 2 years, and so we really want to have them evaluated and have them treated appropriately to reduce the risk of more fractures occurring. But I understand that there is evidence that a lot of these patients are not being treated in this timeframe, which would come as a surprise to many of our listeners who would intuitively agree with the need that you need to treat earlier. What do you think about this? That is so true, and we’re calling it the crisis in osteoporosis care, because, in fact, we’re treating fewer than 25% of people who have fractures from osteoporosis who really need to be treated, who are at such high risk for more fractures over the very next 1 and 2 years, and that’s something that we really are trying to all get together to improve on. Dr. Cosman, now that we better understand the need to reduce fracture risk and treat patients sooner, let’s turn to the treatment approaches themselves. Continuing with our focus on patients with postmenopausal osteoporosis who are already at high risk for fracture, what course of treatment do you recommend? Well, the medications for osteoporosis come in 2 classes. One is the antiresorptive class, and one is the anabolic class. Anabolic drugs are bone-building, and antiresorptive drugs prevent bone breakdown and maintain bone mass. Usually, when you start with an anabolic drug, you follow it with an antiresorptive therapy, and I’m a strong proponent of that type of treatment sequence beginning with anabolic and moving to an antiresorptive in patients at high risk for fracture. So, in starting with an anabolic agent—and let’s talk specifically about TYMLOS—first, what is the indication for this treatment? TYMLOS is indicated for the treatment of postmenopausal women with osteoporosis at high risk for fracture, and the way we define that usually is a person who has already had a fragility fracture, such as what we talked about earlier, people who have multiple risk factors for fractures, as well as people who aren’t doing well on other therapies. In postmenopausal women with osteoporosis at high risk, TYMLOS reduces the risk of fractures in vertebral as well as nonvertebral skeletal sites. There is a recommendation to limit the use of TYMLOS or TYMLOS and other PTH-type medications, like teriparatide, to no more than 2 years. Can you talk us through some of the important safety information that we have about TYMLOS? There is something that everybody needs to know. There is a Boxed Warning regarding a rodent study that was done with abaloparatide where they gave high doses to rodents and there were some rodents who developed a bone tumor called osteosarcoma. This is at high doses. Fortunately, this tumor is a rare tumor in adults, but because we really don’t know if this rodent study has relevance to humans, we want to make sure to avoid using TYMLOS in people who might be at risk for this type of tumor, so those are people who have a prior history of osteosarcoma themselves, a family history of osteosarcoma, certain risk factors for that tumor, which are Paget’s disease, and probably the most important one is people who have had radiation exposure to the skeleton. Those are not good candidates for TYMLOS. And then, also, people who have any kind of bone tumor or a primary cancer that has already metastasized to the bone are also not good candidates for TYMLOS treatment. Of course. Can we get a better sense of some of the current data that supports this treatment? Can you share something with us about the details from the ACTIVE study, which, as I understand it, was a pivotal clinical trial for TYMLOS? The ACTIVE study was a randomized, multicenter, double-blind, placebo-controlled clinical trial to study the efficacy of TYMLOS for postmenopausal osteoporosis. So, the ACTIVE study was a study that enrolled 1,645 women that were randomized to receive either TYMLOS or placebo for 18 months, and the primary endpoint of this study was the incidence of new vertebral fractures over the 18 months in the TYMLOS group compared to the placebo group. 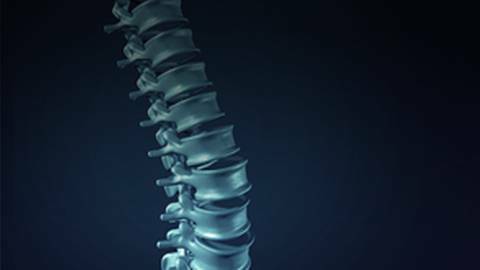 Many of them had prior fractures, both of what we call clinical fractures, but also, many had—about a quarter of them had prevalent vertebral fractures. And these fractures are often silent. People don’t know that they have them. And they are really important because they are associated with as much ultimate impact on risk for more fractures as the ones that cause pain, but unless you go out looking for them, you don’t find them, so that’s a really important learning point for this meeting and beyond. The placebo group had an incidence of 4.2% for new vertebral fractures, whereas the TYMLOS group had a 0.6% incidence of vertebral fractures. That’s an 86% relative risk reduction and a 3.6% absolute risk reduction, and that’s particularly important for these people with recent fractures who were at such high risk for more over the ensuing 1 and 2 years. That’s a great connection to what we talked about earlier, Dr. Cosman. What treatment strategy was used for these patients after their 18-month course of treatment? The ACTIVExtend study enrolled patients who completed 18 months of TYMLOS or placebo in ACTIVE to receive open-label alendronate (an antiresorptive) for an additional 24 months. Okay, so the primary endpoint of the ACTIVE extension study was to look at the incidence of new vertebral fractures at the 6-month point into the study extension, so that’s really 25 months after the start of the overall study, and we showed that the relative and absolute risk reductions for more vertebral fractures were, in fact, very similar during the extension at both that 6-month primary endpoint as well as at the final time point in the study, which was at 43 months. The risk reductions were very similar to what we saw in the original ACTIVE trial. Are there any warnings or precautions associated with the use of TYMLOS? There are, of course, a few things that people need to know. One is that you can have orthostatic hypotension associated with the use of TYMLOS. It usually occurs early on after the treatment is given. And this treatment is a subcutaneous daily injection, very small needle. People do really well with it, but you can get a drop in your blood pressure, and there can be symptoms associated with that. You can have some nausea, some dizziness, palpitations, headache. Those are some of the symptoms. And what we have found is that if patients take their medicine lying down or in a reclining chair and just relax for a while or take it really at bedtime and just go to sleep, they usually don’t have any of these symptoms, but something they need to know. Also, there is a small incidence of hypercalcemia, elevated serum calcium levels, 3.4% incidence. You can get a slight increase in your urine calcium as well. In the studies shared today, the most common adverse reactions reported in patients receiving TYMLOS were hypercalciuria, dizziness, nausea, headache, palpitations, fatigue, upper abdominal pain, and vertigo. I want to thank you for being with us today and sharing your information to our audience. We are better able to understand treatment strategies for postmenopausal osteoporosis in patients who are already at a high risk for fracture. Thank you very much for being here. Thanks so much for having me on the program. This program was sponsored by Radius Health, Incorporated. 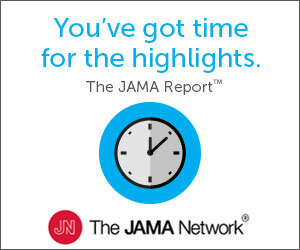 If you missed any part of this discussion, visit www.ReachMD.com/post-menopausal-facture-risk. Learn about a treatment option to help reduce the risk of fractures in postmenopausal women with osteoporosis at high risk for fracture. Please see the Full Prescribing Information, including Boxed Warning here. At the American Society for Bone and Mineral Research (ASBMR) Congress in Montreal, Canada, Dr. Shira Johnson caught up with Dr. Felicia Cosman about treatment strategies for postmenopausal women who are at a high risk for fracture due to osteoporosis. Because of the unknown relevance of the rodent osteosarcoma findings to humans, cumulative use of TYMLOS and parathyroid hormone analogs (e.g., teriparatide) for more than 2 years during a patient’s lifetime is not recommended.